We are just getting ready to welcome visitors to our 2013 Open Workshops, as part of the Purbeck Art Weeks Festival (PAW). 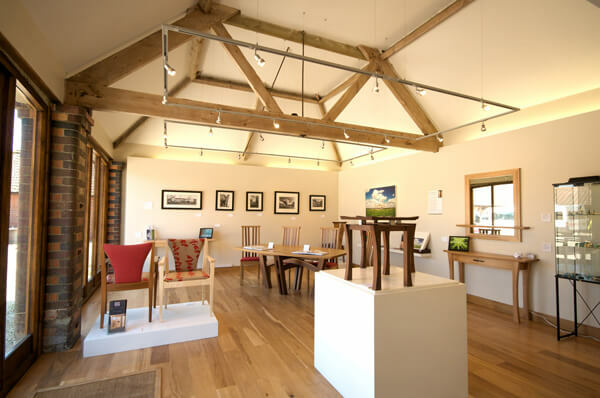 The workshop and gallery, based in the north of Purbeck near Briantspuddle, will be open from 10am till 5pm every day from Saturday 25 May through till Friday 7 June. 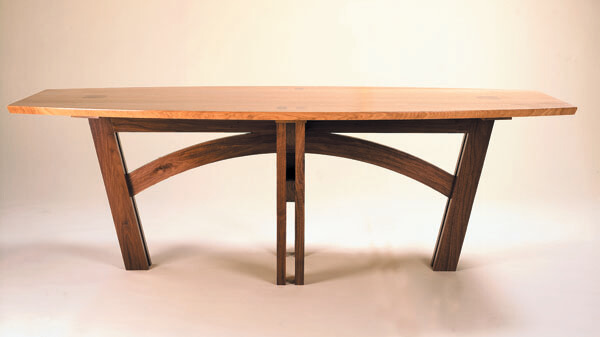 This year Simon will be exhibiting examples of his exquisitely designed tables, chairs, cabinets, desks and occasional pieces. You will be able to wonder around the workshops, see current work in progress and talk to the makers as they work. There will also be the rare opportunity to buy some ex-display pieces for sale at less than half price, it’s a real chance to bag a bespoke bargain! 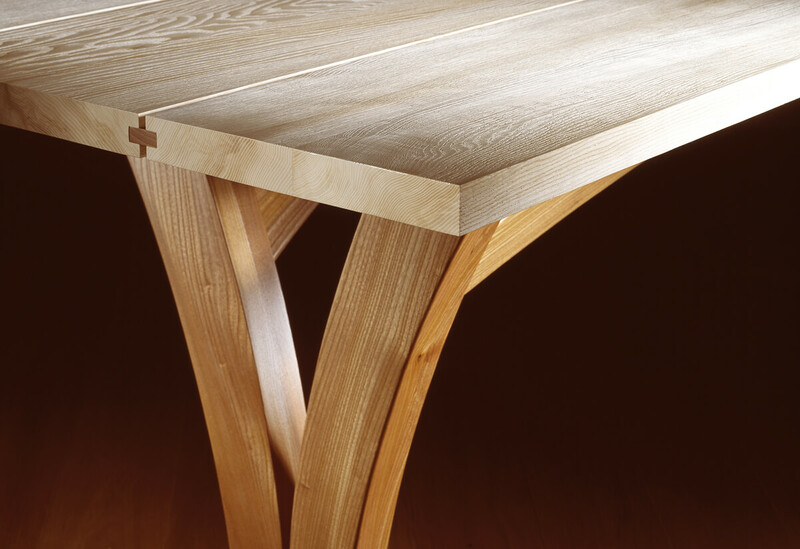 The dining tables pictured below are two such pieces, for more specific information about size materials and cost click here. 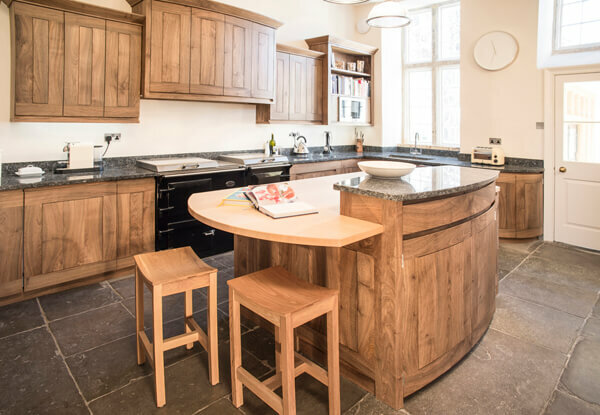 Most of Simon’s work is one-off commissions, unique pieces made to individual requirements, so if there is a piece you have always wanted made – whether it’s a small side table or fitted library, a dining set or one of Simon’s incredible kitchens, do come and have an informal chat about your ideas. 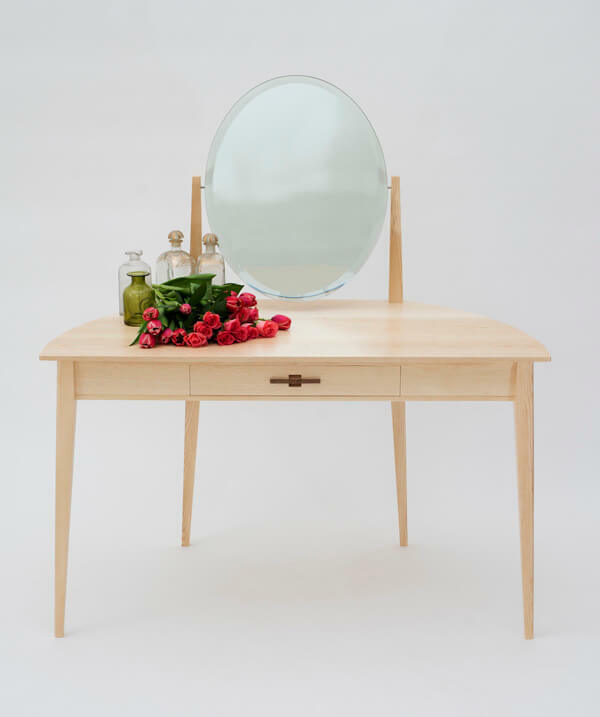 There will be a good selection of new work on show including ‘Rosa’, our stunning new dressing table. 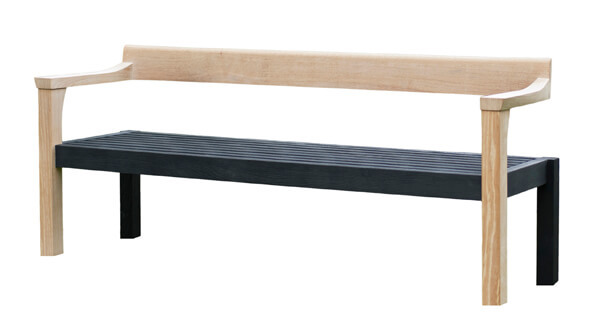 ‘Floating Bench’ a new garden piece recently taken on by Liberty’s as part of their ‘Outdoor Living Collection’ will also be on display. Locally produced cheese and breads will be available over the weekends, along with a glass of something cold to compliment the warm welcome. If you hold the fairly commonly held opinion that things in this country are not made the way they used to be, then Simon’s workshop is a good place to go to dispel that idea. Purbeck Art Weeks – Saturday 25th May – Friday 7th June, Open from 10am – 5pm. (Please note we are not open for the final weekend of the event which runs until Sunday 9th June). For information on performances and all the artists and makers taking part in PAW visit the event website.